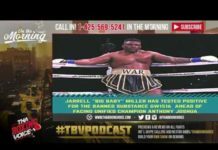 Julius Jackson was set to main event a PBC on FS1 card and get a showcase against Jose Uzcategui live from Cowboys Dancehall in San Antonio, Texas. 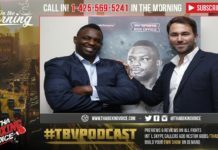 The fight was for an IBF eliminator, putting the winner in a prime position to eventually get the winner of James DeGale-Lucian Bute. Jackson had a look of focus in his eyes coming out in the first, but Jackson was not busy with his hands and allowed Uzcategui to get a rhythm and stay comfortable. Jackson never kept his opponent thinking and was unable to land anything big early on in the fight. As a result, Uzcategui was able to catch Jackson with a big right hand that sent him into a haze, not to mention the canvas. 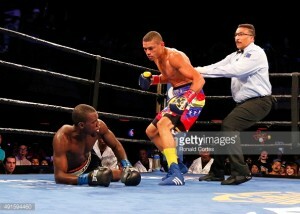 Uzcategui scored the first of 3 knockdowns in the round, but Jackson was able to get up and he seemed like he was okay. His eyes were not glazed, but once the action resumed you could see Jackson’s footwork was unsteady. Uzcategui pounced on his opponent and sent Jackson to the canvas yet again, this time with a right, left, right combo, although Jackson was hurt with the first right hand. Jackson beat the count, but he was in trouble. Uzcategui sent Jackson to the canvas once more with a left hand. Referee Tony Weeks allowed Jackson the opportunity to survive, which he did by the skin of his teeth. However, it was only a matter of time as Jackson was clearly affected by the 1st round actions. Uzcategui went right after Jackson in the 2nd round and he was able to score the 4th and final knockdown, resulting in Weeks waving off the fight. It was an upset that Jackson clearly wasn’t expecting, but now Uzcategui is in line to land the James DeGale-Lucian Bute winner for the IBF super middleweight title. 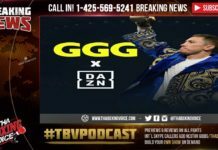 Uzcategui told Thaboxingvoice.com, as did his handlers, that he’d be willing to take a fight in between the mandatory because DeGale and Bute is still a month away, but he is anxious to cash in his title shot. Previous articleRyan “Cowboy” Karl leaves his mark on FS1 under card bout.